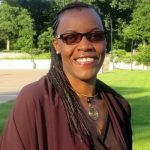 The following opinion piece is by Wanjiru M. Gitau, a visiting scholar at CRCC originally from Kenya. The frequency of mass shootings in the U.S. exacts a toll that reaches far beyond the nation’s borders, challenging America’s dual role as the preacher and enforcer of its democratic ideals around the world. When there is no action to prevent future massacres like the recent slaying of 17 people at a high school in Florida, the message communicated to the world is that the American political establishment is crumbling under its own weight. America’s inability to solve its gun problem runs counter to its century-long history as a global problem-solver. During the Second World War, President Franklin Roosevelt outlined America’s four freedoms: freedom to worship, freedom from want, freedom of speech and expression, freedom from fear. These freedoms shaped America’s success and helped elevate the United States to its position as the guarantor of global security and the engine of global economic progress. America preached these ideals to the world through the United Nations’ Universal Declaration of Human Rights in 1948, which in turn framed the International Bill of Human Rights, as well as subsequent international treaties and national constitutions. 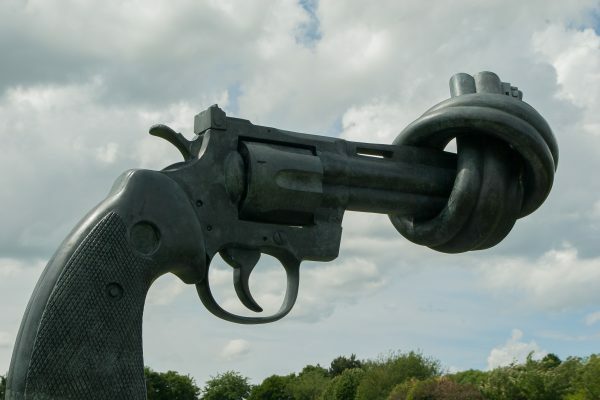 Allowing lawless gun violence to continue unabated suggests that Americans are losing sight of the spirit of those four freedoms, ceding America’s crucial place in the global order. Granted, just as not everyone agrees on the regulation of guns, other nations have not always agreed that the United States should be pushing its values on them. Whenever America intervenes in response to localized atrocities, repressive governments rant against American imperialism. It’s also true that America’s global policies have always been rooted in the idea of American exceptionalism. But up until the current presidential administration and its “America First” ethos, an element of altruistism usually figured into most of America’s actions on the global stage, with civil rights advocates and religious leaders serving as the conscience of the nation. So it has come to pass that those who suffer most under repressive regimes look to the American government to condemn and corral the agents of oppression. Still, the censure of autocrats is rarely a long-term solution to their abuses. Multifaceted histories and tangled economic interests mean that sustainable solutions are often a long time in coming. Much like the fraught politics of the gun problem in America. But even as America’s ideals push it to crack down on despots who hurt vulnerable peoples overseas, it is unwilling to do so with the mass murderers who hurt its own vulnerable people. This impasse is robbing America of its global credibility. America’s fall from its pulpit wouldn’t be such a bad prospect if there were an obvious replacement waiting in the wings. But far from promoting human rights, ascendant global powers such as China and Russia curtail them. Britain is drained by Brexit, while France’s Emmanuel Macron, the fresh-faced prince of the European Union, is still learning the ropes of international politics. So, at the moment, there is a vacuum of global leadership, with no prospect that America’s paralyzing political infighting will end anytime soon. The Swahili people have a saying: When elephants fight, it is the grass that suffers. Peace-loving communities are literally the grassroots of American democracy, and they are being stomped by political interests that have lost sight of that source of vitality. The moral duty to protect the vulnerable at home and abroad persists. America’s most vulnerable citizens are children at school, worshipers in a house of God, and concertgoers in Sin City – all felled in the attacks of men armed with assault rifles. 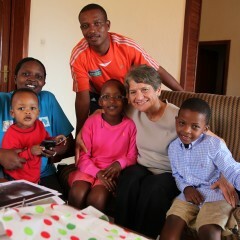 Wanjiru Gitau is a visiting scholar with the USC Center for Religion and Civic Culture.